A host of both very old and entirely new liturgical practices have arisen in digital mediation, from the live-streaming of worship services and "pray-as-you-go" apps, to digital prayer chapels, virtual choirs and online pilgrimages. Cyberspace now even hosts communities of faith that exist entirely online. These digitally mediated liturgical practices raise challenging questions: Are worshippers in an online chapel really a community at prayer? Do avatars that receive digital bread and wine receive communion? @ Worship proposes a nuanced response to these sometimes contentious issues, rooted in familiarity with, and sustained attention to, actual online practices. Four major thematic lines of inquiry form the structure of the book. After an introductory chapter the following chapters look at digital presence, virtual bodies, and online participation; ecclesial communities in cyberspace; digital materiality, visuality, and soundscapes; and finally the issues of sacramental mediation online. A concluding chapter brings together the insights from the previous chapters and maps a way forward for reflections on digitally mediated liturgical practices. is the first monograph dedicated to exploring online liturgical practices that have emerged since the introduction of Web 2.0. Bringing together the scholarly tools and insights of liturgical studies, constructive theology and digital media theories, it is vital reading for scholars of Theology and Religion with as well as Sociology and Digital Culture more generally. The New Church's Teaching series has been one of the most recognizable and useful sets of books in the Episcopal Church. With the launch of the Church's Teachings for a Changing World series, visionary Episcopal thinkers and leaders have teamed up to write a new set of books, grounded and thoughtful enough for seminarians and leaders, concise and accessible enough for newcomers, with a host of discussion resources that help readers to dig deep. This third volume introduces Episcopal theology with the question "Can you capture the good news of Jesus Christ in a tweet?" Author Jesse Zink thinks so: "You are loved with a love unlike anything else--now, go show that love to others. Huge oceans of meaning lie under each word, and his new book welcomes readers into those depths. 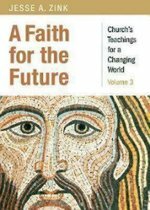 Each chapter takes a different aspect of Christian faith--God, Jesus, the Holy Spirit, Creation and Humanity, Baptism, Church, Eucharist, Mission, and the Hope of the World to Come--and links history and tradition with real world experience. 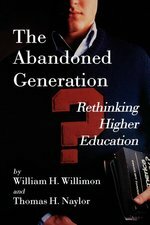 This assessment of the current state of higher education in America exposes the disconcerting causes and effects of failed campus life while posing real solutions for reforming today's colleges and universities. In 1792, nearly 1,200 freed American slaves crossed the Atlantic and established themselves in Freetown, West Africa, a community dedicated to anti-slavery and opposed to the African chieftain hierarchy that was tied to slavery. Thus began an unprecedented movement with critical long-term effects on the evolution of social, religious, and political institutions in modern Africa. Lamin Sanneh's engrossing book narrates the story of freed slaves who led efforts to abolish the slave trade by attacking its base operation: the capture and sale of people by African chiefs. Sanneh's protagonists set out to establish in West Africa colonies founded on equal rights and opportunity for personal enterprise, communities that would be havens for ex-slaves and an example to the rest of Africa. Among the most striking of these leaders is the Nigerian Samuel Ajayi Crowther, a recaptured slave who joined a colony in Sierra Leone and subsequently established satellite communities in Nigeria. The ex-slave repatriates brought with them an evangelical Christianity that encouraged individual spirituality--a revolutionary vision in a land where European missionaries had long assumed they could Christianize the whole society by converting chiefs and rulers. Tracking this potent African American anti-slavery and democratizing movement through the nineteenth century, Lamin Sanneh draws a clear picture of the religious grounding of its conflict with the traditional chieftain authorities. His study recounts a crucial development in the history of West Africa. An inspirational gathering of fifty-nine new hymn texts, anthems, and poems by the author of Borrowed Light (OUP, 1994) and co-author, with composer Carol Doran, of New Hymns for the Life of the Church (OUP, 1992), and New Hymns for the Lectionary (OUP, 1986). 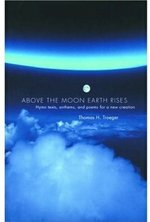 Thomas Troeger is one of the most important American figures in the liturgical renewal movement and is in great demand for workshops, lectureships, and special worship services. His poems and texts for music are widely used by composers, even more widely adapted to standard hymn-tunes by parish musicians, and used by individuals and groups for private devotion. 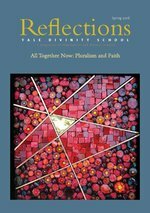 This powerful new collection covers the entire church year along with a broad range of contemporary concerns and issues. 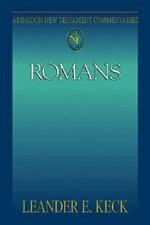 The texts are conveniently indexed according to meter, theme and image, and Scripture. If you are newly married orIf you have been married for many years orIf you are planning to be married orIf you are considering marriage orIf you would like to be married . . .. . .this book is for you! David Ehline puts his pastoral knowledge and counseling experience in your hands with this easy-to-read book. Marriage is challenging, and marriage takes effort, time, and commitment to bond two very different people into a single unit without destroying the unique individuality of either of the two. Marriage may not always be easy, but in this book you will find help and guidance for making your marriage satisfying, fulfilling, and gratifying. Reading and discussing this book can put you on the road to an A+ marriage! David Ehline received his B.A. degree from Gustavus Adolphus College, St. Peter, MN; his Master of Divinity degree from Yale Divinity School, New Haven, CT; and his Master of Social Work degree from the University of Nebraska, Lincoln, NE. He is an ordained minister, having served congregations in California and Nebraska. He also enjoyed many years as a counselor at family service agencies, where he provided individual, couple, and family therapy. As an adjunct faculty member, he taught at the University of Nebraska, Omaha. His ministerial career culminated with years of service as a chaplain in a faith-based long-term care center, ministering to residents in independent living, assisted living, skilled nursing, and memory care. He and his wife, Patricia, are retired and live in Castle Rock, CO. 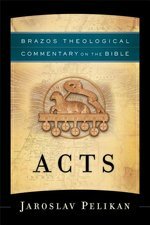 In this new commentary for the Belief series, award-winning author and theologian Willie James Jennings explores the relevance of the book of Acts for the struggles of today. While some see Acts as the story of the founding of the Christian church, Jennings argues that it is so much more, depicting revolution--life in the disrupting presence of the Spirit of God. According to Jennings, Acts is like Genesis, revealing a God who is moving over the land, "putting into place a holy repetition that speaks of the willingness of God to invade our every day and our every moment." He reminds us that Acts took place in a time of Empire, when the people were caught between diaspora Israel and the Empire of Rome. The spirit of God intervened, offering new life to both. Jennings shows that Acts teaches how people of faith can yield to the Spirit to overcome the divisions of our present world. "[A] significant commentary. . . . Pelikan asks big questions: what is sin? what were the earliest creeds? what is the nature of apostleship? He is sensitive to nuances of Greek but not obsessed by them. As such, this book will be helpful to preachers and, to a lesser extent, general readers who are sometimes flummoxed by more specialized and technical biblical commentaries." 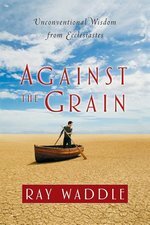 In the final year before his death in 1996, Henri Nouwen began to write an account of the death of his friend Adam, a severely handicapped young man from the L'Arche Daybreak Community. In the story of Adam he found a way to describe his own understanding of the Gospel message. Adam could not speak or even move without assistance. Gripped by frequent seizures, he spent his life in obscurity. And yet, for Nouwen, he became "my friend, my teacher, and my guide." It was Adam who led Nouwen to a new understanding of his faith and what it means to be Beloved of God. Through this story, Nouwen found a new way to tell God's story and the story of all of us human creatures, broken and yet beloved, who live in a world charged and alive with the mystery of God's love. Completed only weeks before Nouwen's own death, Adam became a final, precious gift, a fitting reflection of his own message and legacy. Liberal/conservative and modern/postmodern concepts define contemporary theological debate. Yet what if these categories are grounded in a set of assumptions about what it means to be the church in the world, presuming we must live as though God's existence does not matter? What if our theological discussion distracts us from the fact that the church is no longer able to shape the desires and habits of Christians? Hauerwas wrestles with these and similar questions constructing a theological politics necessary for the church to be the church in the world. In so doing, he challenges liberal notions of justice and freedom. 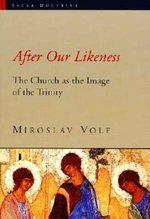 In After Our Likeness, the inaugural volume in the Sacra Doctrina series, Miroslav Volf explores the relationship between persons and community in Christian theology. The focus is the community of grace, the Christian church. The point of departure is the thought of the first Baptist, John Smyth, and the notion of church as "gathered community" that he shared with Radical Reformers. Volf seeks to counter the tendencies toward individualism in Protestant ecclesiology and to suggest a viable understanding of the church in which both person and community are given their proper due. In the process, Volf engages in a sustained and critical ecumenical dialogue with the Catholic and Orthodox ecclesiologies of Joseph Cardinal Ratzinger and the metropolitan John Zizioulas. The result is a study that spells out a vision of the church as an image of the triune God. 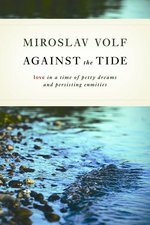 Miroslav Volf's writing beautifully points away from the pettiness and selfishness so prominent in our culture today and toward the love that Christians are called to exemplify. His insights in this volume will inform and inspire all who wish to follow that path of love. The author shares his moving and inspirational thoughts on what aging can mean to all of us. It is a warm, caring book that shows us how to make the later years a source of hope rather than a time of loneliness. -Can Public Life Survive the Internet? From Miroslav Volf, one of the world's foremost Christian theologians--and co-teacher, along with Tony Blair, of a groundbreaking Yale University course on faith and globalization--comes Allah, a timely and provocative argument for a new pluralism between Muslims and Christians. In a penetrating exploration of every side of the issue, from New York Times headlines on terrorism to passages in the Koran and excerpts from the Gospels, Volf makes an unprecedented argument for effecting a unified understanding between Islam and Christianity. In the tradition of Seyyed Hossein Nasr's Islam in the Modern World, Volf's Allah is essential reading for students of the evolving political science of the twenty-first century. "Blazing high style" is how The New York Times describes the prose of Christian Wiman, the young editor who transformed Poetry, the country's oldest literary magazine. Ambition and Survival is a collection of stirring personal essays and critical prose on a wide range of subjects: reading Milton in Guatemala, recalling violent episodes of his youth, and traveling in Africa with his eccentric father, as well as a series of penetrating essays on writers as diverse as Thomas Hardy and Janet Lewis. The book concludes with a portrait of Wiman's diagnosis of a rare form of incurable and lethal cancer, and how mortality reignited his religious passions. When I was twenty years old I set out to be a poet. That sounds like I was a sort of frigate raising anchor, and in a way I guess I was, though susceptible to the lightest of winds. . . . When I read Samuel Johnson's comment that any young man could compensate for his poor education by reading five hours a day for five years, that's exactly what I tried to do, practically setting a timer every afternoon to let me know when the little egg of my brain was boiled. It's a small miracle that I didn't take to wearing a cape. 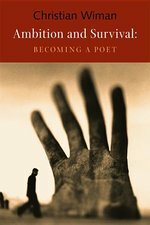 "That calling, at once religious, ethical, and aesthetic, is one that only a genuine poet can hear--and very few poets can explain it as compellingly as Mr. Wiman does. 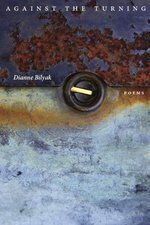 That gift is what makes Ambition and Survival, not just one of the best books of poetry criticism in a generation, but a spiritual memoir of the first order." Christian Wiman is the editor of Poetry magazine. His poems and essays appear regularly in The New Yorker, The Atlantic Monthly, Harper's, and The New York Times Book Review. He is the author of several books of poetry, including The Long Home (isbn 9781556592690) and Hard Night (isbn 9781556592201). American Aristocrats is a multigenerational biography of the Andersons of Kentucky, a family of strivers who passionately believed in the promise of America. Beginning in 1773 with the family patriarch, a twice-wounded Revolutionary War hero, the Andersons amassed land throughout what was then the American west. As the eminent religious historian Harry S. Stout argues, the story of the Andersons is the story of America's experiment in republican capitalism. Congressmen, diplomats, and military generals, the Andersons enthusiastically embraced the emerging American gospel of land speculation. In the process, they became apologists for slavery and Indian removal, and worried anxiously that the volatility of the market might lead them to ruin. Drawing on a vast store of Anderson family records, Stout reconstructs their journey to great wealth as they rode out the cataclysms of their time, from financial panics to the Civil War and beyond. Through the Andersons we see how the lure of wealth shaped American capitalism and the nation's continental aspirations. Taking Emerson as his starting point, Cornel West's basic task in this ambitious enterprise is to chart the emergence, development, decline, and recent resurgence of American pragmatism. John Dewey is the central figure in West's pantheon of pragmatists, but he treats as well such varied mid-century representatives of the tradition as Sidney Hook, C. Wright Mills, W. E. B. Du Bois, Reinhold Niebuhr, and Lionel Trilling. West's "genealogy" is, ultimately, a very personal work, for it is imbued throughout with the author's conviction that a thorough reexamination of American pragmatism may help inspire and instruct contemporary efforts to remake and reform American society and culture. "The American Evasion of Philosophy is a highly intelligent and provocative book. Cornel West gives us illuminating readings of the political thought of Emerson and James; provides a penetrating critical assessment of Dewey, his central figure; and offers a brilliant interpretation--appreciative yet far from uncritical--of the contemporary philosopher and neo-pragmatist Richard Rorty. . . . What shines through, throughout the work, is West's firm commitment to a radical vision of a philosophic discourse as inextricably linked to cultural criticism and political engagement." --Paul S. Boyer, professor emeritus of history, University of Wisconsin-Madison. William Sloane Coffin has long fought for social justice and argued that faith must be at the heart of political and intellectual life. Shown on PBS in the Fall 2004, Bill Coffin speaks on politics, religion, faith, hope, and love. His comments are interspersed with interviews of Robert and Sally Benton, Susanna Heschel, Arthur Miller, and James Carroll, who speak about what Bill has meant to them and about times they have spent together. Religious liberalism in America has often been equated with an ecumenical Protestant establishment. 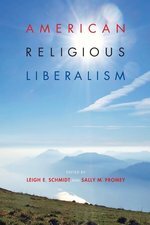 By contrast, American Religious Liberalism draws attention to the broad diversity of liberal cultures that shapes America's religious movements. The essays gathered here push beyond familiar tropes and boundaries to interrogate religious liberalism's dense cultural leanings by looking at spirituality in the arts, the politics and piety of religious cosmopolitanism, and the interaction between liberal religion and liberal secularism. 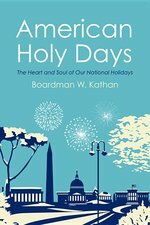 Readers will find a kaleidoscopic view of many of the progressive strands of America's religious past and present in this richly provocative volume.